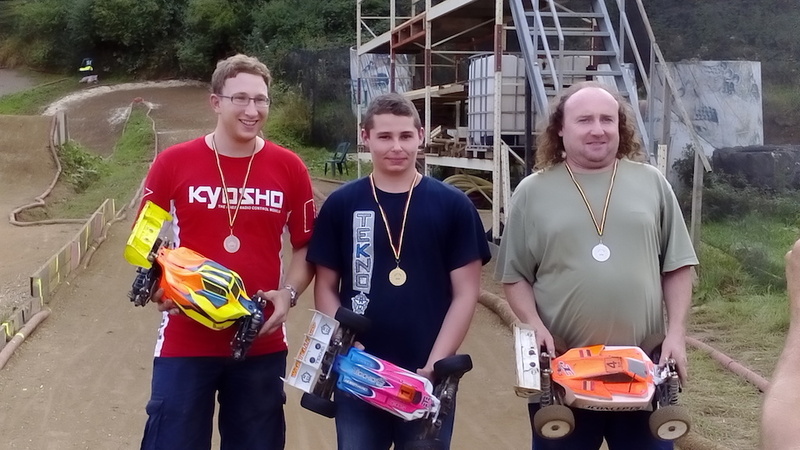 "The Belgian Cup race was held the weekend of 10-11 September at BugBuggittre racing track. First of all, I would like to thank the organizers for the excellent new track layout and smooth organization of the race. On the racing side of things, 1st qualifier went great, allowing me to set the fastest time for the round. The weather took a turn just before the second qualifying round started, so the organizers had to call it off and wait. 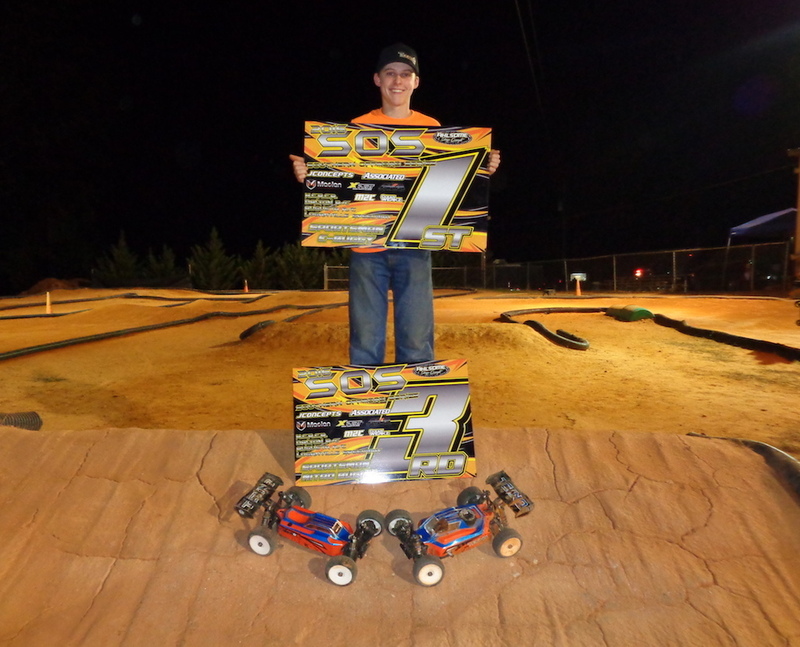 Winning the 3rd and final qualifying round allowed me to get the overall TQ. Onto the finals now, I won the first two, giving me the overall win, my EB48.3 performed flawlessly like always." 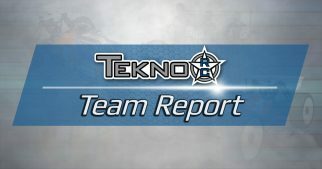 "So we had decided to go to LRT for the final round of the Mid West RC Tour. When we showed up Friday morning we ran some practice with all the cars and they were feeling good the X2 Fugitive Lites felt the best on the car. In qualifying, I struggled in the 1st round but focused in the second and third round and TQed all three classes. 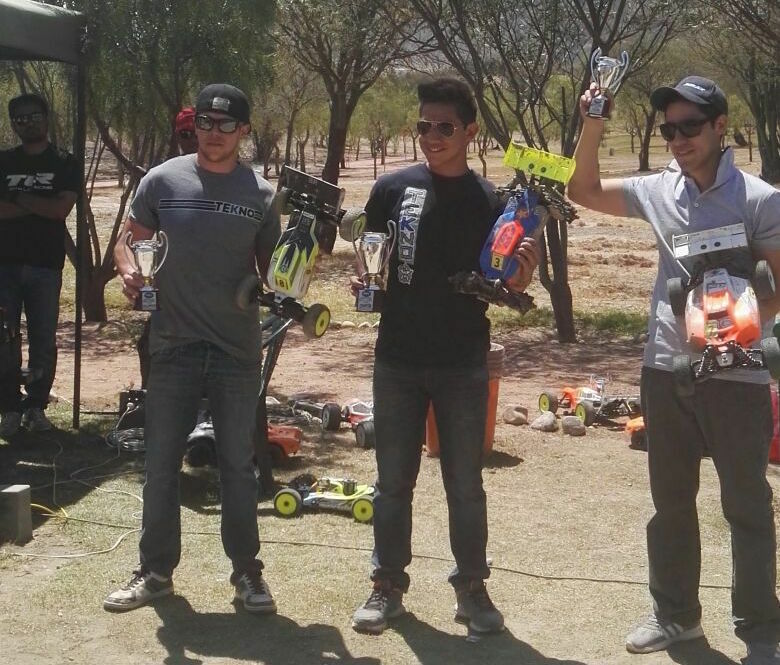 In the mains, I was dominant in Ebuggy A1 and Truggy and won them. In Nitro Buggy I flamed out twice and finished 3rd in Ebuggy, I lead most of the race but then my car shut off 30 feet from the loop and ended up 6th. I had a great weekend I won the Dash For Cash, Truggy and the Long Haul award and had a fun time with my friends and teammates." "We traveled across the state arriving Friday for some practice. I chose to run Ebuggy and 4wd SCT. Practice was ok but the track was very loose from the recent rebuild. First qualifiers were up and both of my cars were dialed into the track allowing me to TQ both for the first round. Second round I would better my TQ in truck but fall 3 seconds short in Buggy. Mains came and in 4wd SCT I had a bobble in the first lap dropping a few positions but regained my composure and worked back to the top and would stay there for the win! In Ebuggy I started 2nd on the grid. 4th turn in the race and there was some bumping causing me to drop to 7th. Very next lap the leaders had a tangle up causing a massive pile up where I shot right through and never looked back!" "Most fun of racing R/C to date!!! Billy's Tekno NB48.3 & EB48,3 worked awesomely all weekend, TQ-ing the Ebuggy class and qualifying 3rd for the nitro class. 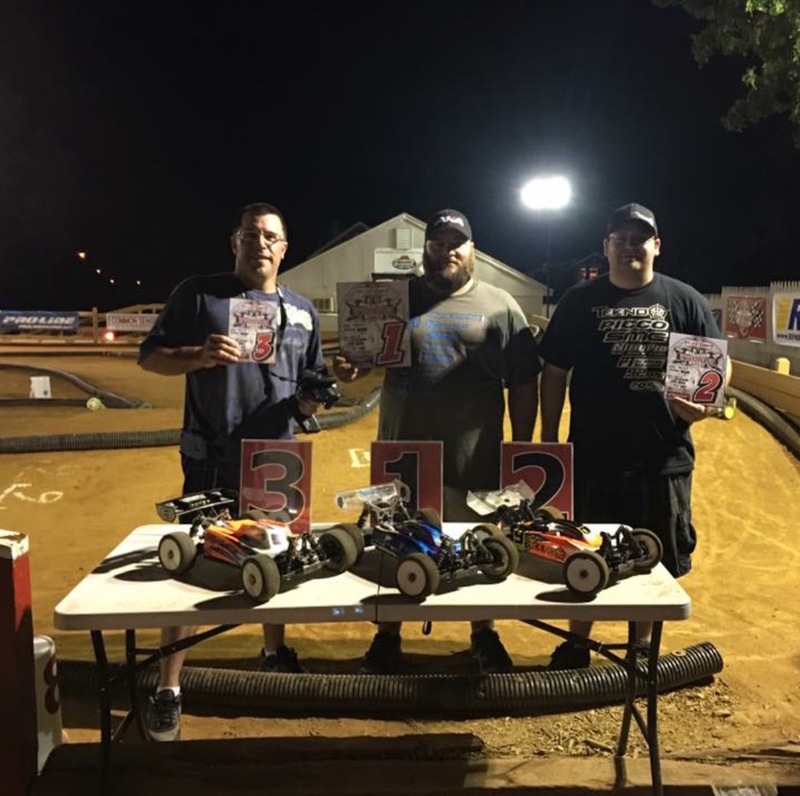 For the finals, Billy finished 2nd in both the nitro and buggy classes, also capturing 1st in the Series Championship Points in the sportsman buggy class & 3rd in the Series Championship Points in the sportsman nitro buggy class! Winning the points championship in his last race as a sportsman!!! We've had a ton of fun in the sportsman class and now we look forward joining the local pro ranks! 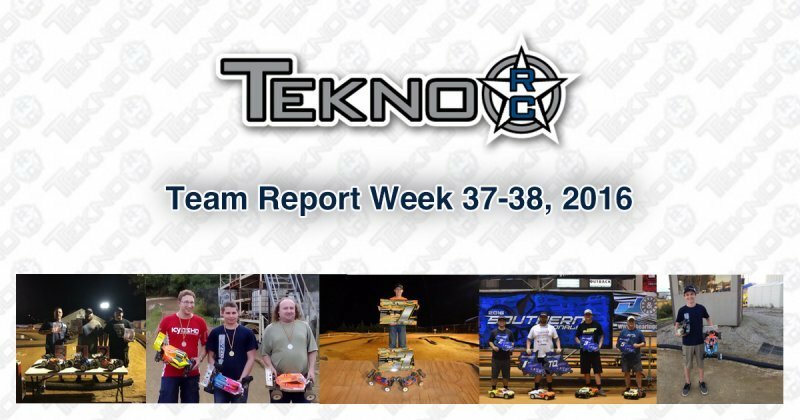 Thank You: Team Tekno, Gene Samuels / Series Race Promoter, Lance Mcdonald / Series Race Director." "Futaba Electric Challenge is a two day and two track event. Race one day outdoors and one day indoors and results are combined for an overall. Futaba Electric Challange in the books. My Tekno SCT410.3 and Eb48.3 were hooked up and dialed all weekend. 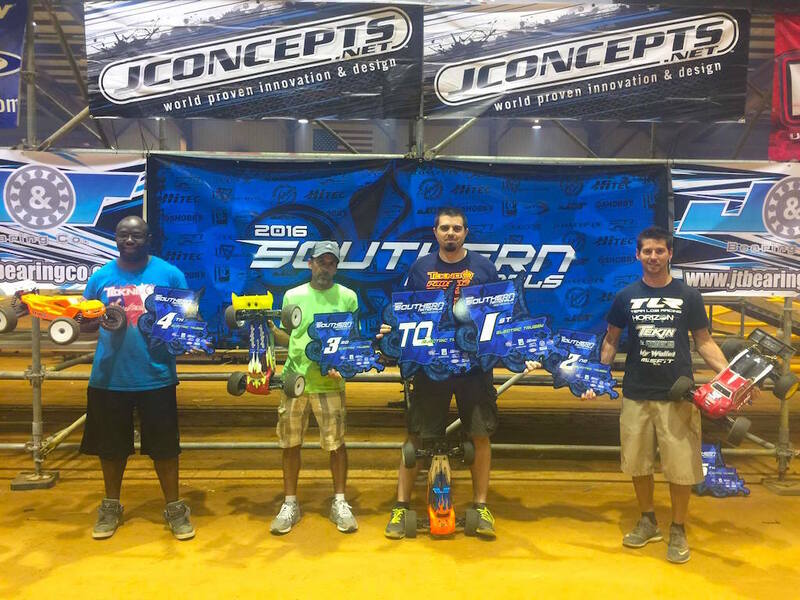 I brought home the overall win in 4x4 SC with TQ's on both indoor and outdoor tracks. I had a great run outside qualifying with the Ebuggy and took the TQ but struggled in the A main and finished 4th. Indoors was almost opposite. I qualified 3rd and finished 1st. I had some early race struggles and had even come back from 4th. About 7 minutes into a 10 minute main I was gifted a rare mistake from the leader and in the last few laps put the pressure on. I managed to pull a super sweet pass for the lead with two laps to go and held it for the win. This gave me a second overall with both days of racing combined. 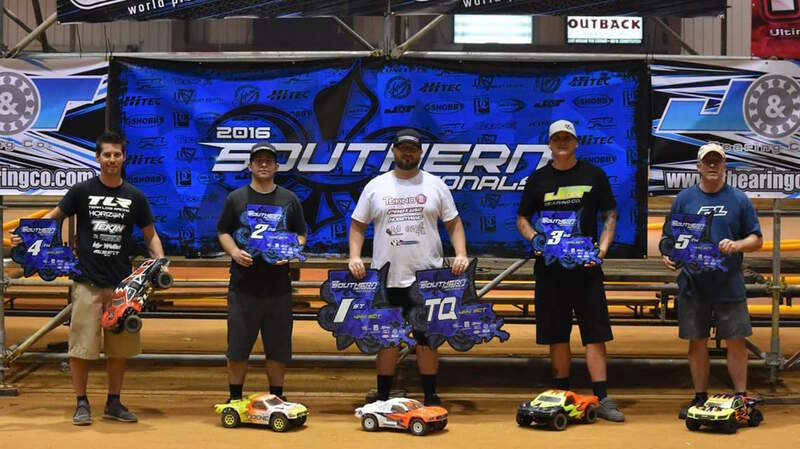 The Pro4 Class was a Tekno podium sweep with 7 of the 8 in the A main Tekno SCT410.3's." "This past weekend was the 4th date of the national championship FEBOLARC and was held Kath the track of Tennis Club Huajchilla in La Paz, Bolivia. The track was in excellent shape since it was watered on a frequent basis, increasing the traction. Two rounds of qualifications were held on Saturday and my TEKNO SC410 felt great during both rounds which allowed me to start in the second position in the main. We ran the main race on Sunday and it was very intense. I fought for the first place for the first half of the main, getting first place, dropping to second, but maintained a consistent run. Two laps before the end of the race, I got first and held the position until the end, making it a very exciting race!" "Practice day ended with me feeling fairly confident in my cars. The track was blowing out in places but expected at this event. Qualifying went very well in Electric Truggy and Buggy, taking TQ in Truggy and 5th in Buggy. By the mains the track had blown-out and I struggled some with driver and electronic issues in Buggy. The Truggy was dialed though! I won the first two A mains taking the victory!" 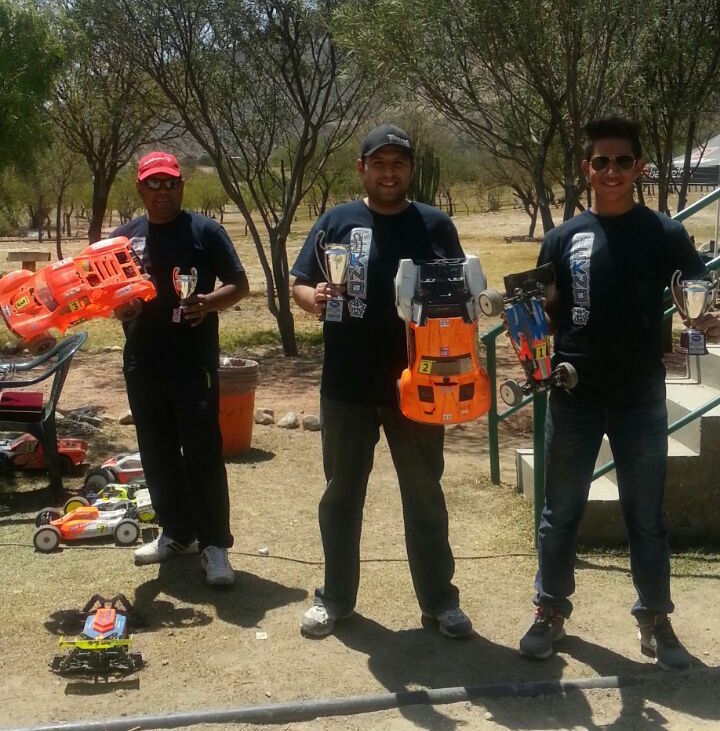 "This past week I attended to La Paz Bolivia for the 4th race of the Bolivian championship. I ran in Short Course 4x4, Ebuggy and Nitro Buggy. In Ebuggy, I made some changes the car felt fantastic. I qualified third and managed in a very hard final with a lot of fights between two drivers and me to get the first place." 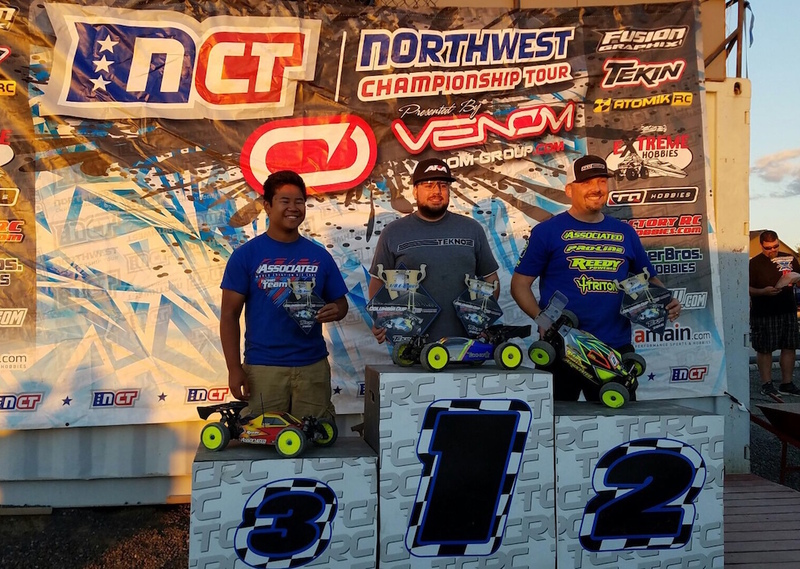 "This past weekend was the final round of the Northwest Championship Tour. The event drew a record entry count of 280 from all over the Pacific Northwest. I raced 4x4 SC and Open E-Buggy. Qualifying day was rather disappointing because Mother Nature decided to interfere. With the intermittent rain, we were still able to get two rounds of qualifying in using your single best qual point. 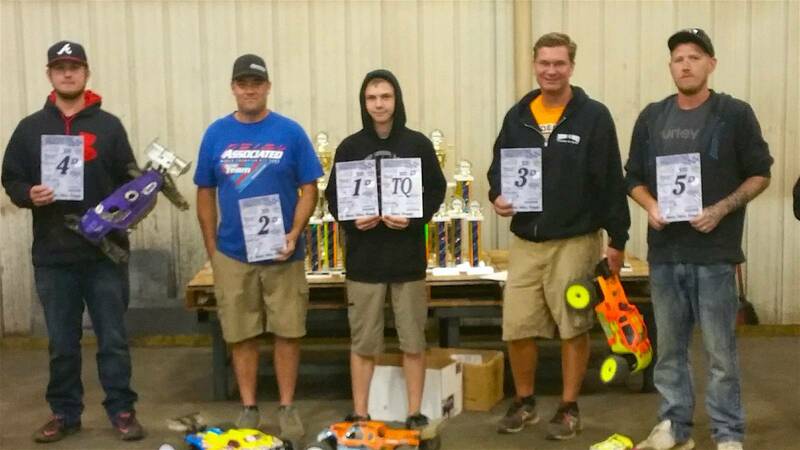 I ended up 3rd in SC and TQ in E-buggy. In the mains, I gave it all I had in SC and finished a close 2nd. In Open E-buggy I managed to pull away in A1 and A2 to take the overall win! Great finish to the Summer season!" "This is the most anticipated race in the south. Ross Pilgreen always pulls out every trick in the book to make insane layouts for this event. The track blew out by main day which is part of the draw....who can adapt to the changing conditions best. Short Course went pretty much flawless, taking overall TQ after first two rounds of quals. 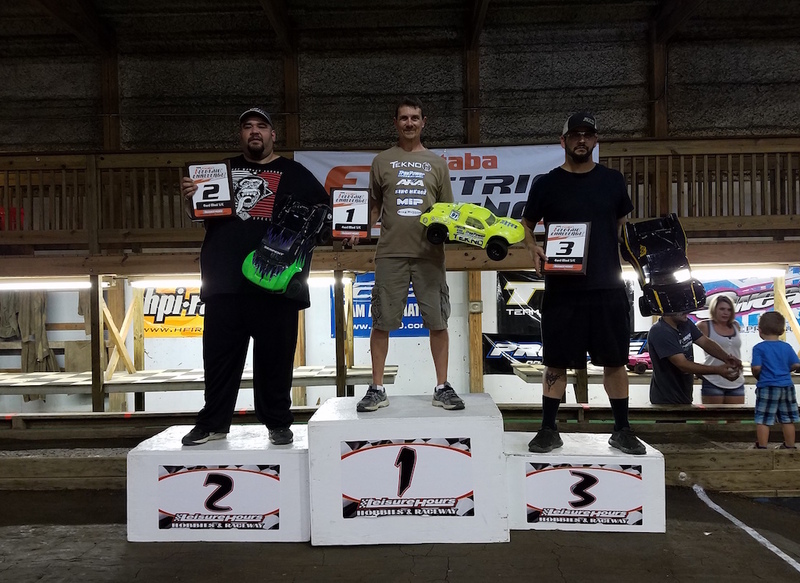 A1 I had some traffic issues and took a 2nd, A2 was a throw away run, came back in A3 and lapped the field up to 2nd winning by around 30 seconds taking the overall. 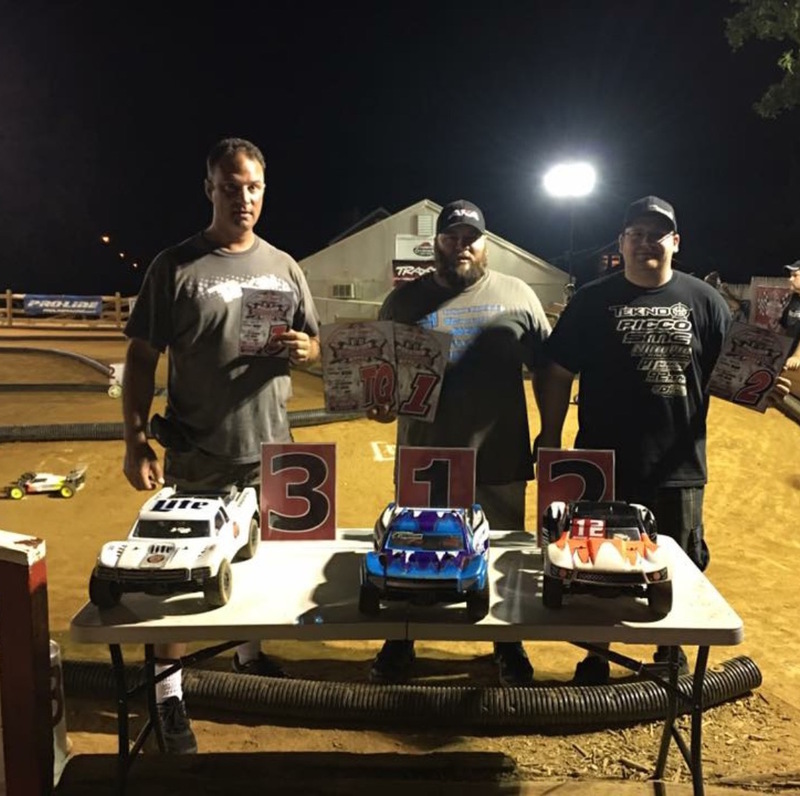 The fantastic event was put on by fellow Tekno teammate Kaleb Hamby and Chris Goodrich. This is a must-attend event if you are in the south!" Tekno RC at the World Indoor Buggy Cup 2k17!